In brief: The roots of many popular technologies can be traced back decades. Long before the iPhone, Apple developed the W.A.L.T concept phone, or "Wizzy Active Lifestyle Telephone," which you can check out in the video below. Australian iPhone leaker Sonny Dickson posted the video of the working prototype device, which was originally revealed at the Macworld event in Boston in 1993. W.A.L.T was certainly advanced for its time. 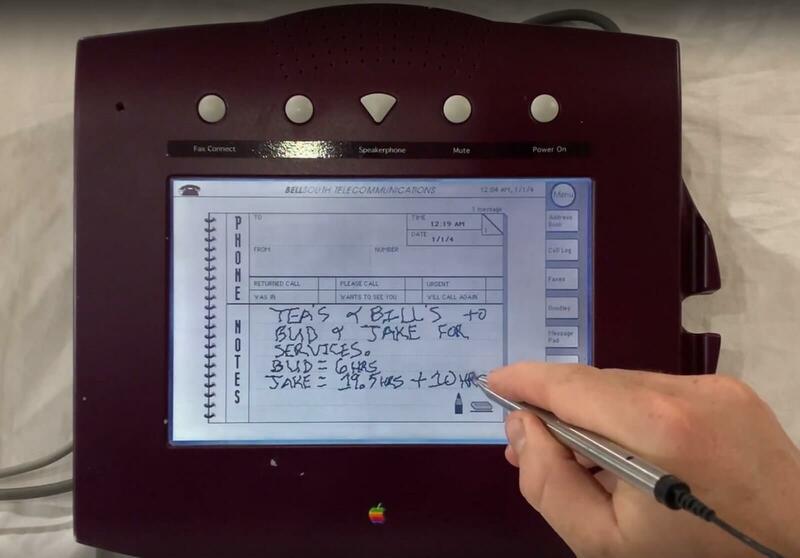 Not only did it work as both a phone and a fax machine, but it also gave users online banking access, had a touchscreen and stylus, and featured Newton-style handwriting recognition. It even came with a built-in address book, caller-ID, and customizable ringtones. The device was designed in both white and the gray color shown in the video. It was designed in partnership with telecom company BellSouth, ran a customized version of Mac OS 6 on its hard drive, and was produced from PowerBook 100 parts. Apple ultimately decided to terminate the project, and the W.A.L.T phone was never sold to the public, but we do see prototype units floating around online, including one that was sold on eBay for $8,000 in 2012. Being quarter of a century old, the W.A.L.T unit in the video does take a while to boot up, and the lag when using the stylus is painful, but it was pretty cutting edge for its time, and you can see how the iPhone can trace its ancestry back to the device. Interestingly, MacRumors notes that these early prototypes came with unusual manuals that gave owners obvious advice, including not using W.A.L.T near water, to avoid dropping it, and not to step on the connected cables.